You have always dreamed of owning your own ice cream shop. You imagined the many different flavors of ice cream that you would offer and you even thought about the happy faces of all of the children that you would offer your ice cream too. The parents would be happy with the quality and the choices of your additional and alternative ice cream options, like healthier gelato choices. You opened your business and found that customers enjoyed your ice cream shop, that is, until a new ice cream shop is planning to open right down the street from yours. How can you remain successful when there is another ice cream shop that is threatening to take some of all of your business? The ice cream business can be competitive and can be a very volatile business that requires business sense and the appropriate ice cream products to ensure customer satisfaction. There are about 1.5 billion gallons of ice cream and similar desserts produced in the United States every year. This can make it difficult to choose the best quality of ice cream for your customers. They will expect high quality ice cream, different than what they purchase in the grocery store on their own. It is important to not only purchase quality flavored ice cream, but to also have a good variety of ice cream flavors available for different types of customers. According to a recent survey of International Ice Cream Association member companies, vanilla remains the most popular flavor among their consumers at 28%. However, other popular flavors like chocolate are close behind. It is necessary to have these popular ice cream flavors, while also having a wider variety of ice cream available for those who like to try different flavors. Additionally a successful ice cream company needs to find ways to entice customers to visit their business. The warmer summer months are probably going to be much easier to get business, but the winter months are important as well. June is the month that most ice cream is produced. The other summer months are close behind. Promotions and discounts can be offered to customers during the winter months to promote business during these slower months. The winter months can be difficult as multiple ice cream shops are competing for a limited business supply. This is also why many ice cream shops choose to close down during the winter months, but if you can remain open and offer your customers with promotions and discounts, you will find that you have a more loyal customer following come summer time. In addition to having quality product for ice cream flavors, the ice cream supplies are also just as important. A plastic tasting spoon is necessary to consumer the ice cream treats with. Customers expect a plastic tasting spoon that is of good quality and clean. The plastic tasting spoon can also be used to provide samples during slower months or slower days to gain customer interest in your ice cream products. Different plastic tasting spoon may be used for different desserts, like frozen yogurt spoons versus ice cream spoons. Additionally, cups for ice cream should be of appropriate sizing, offering customers with a good deal for the price they paid. 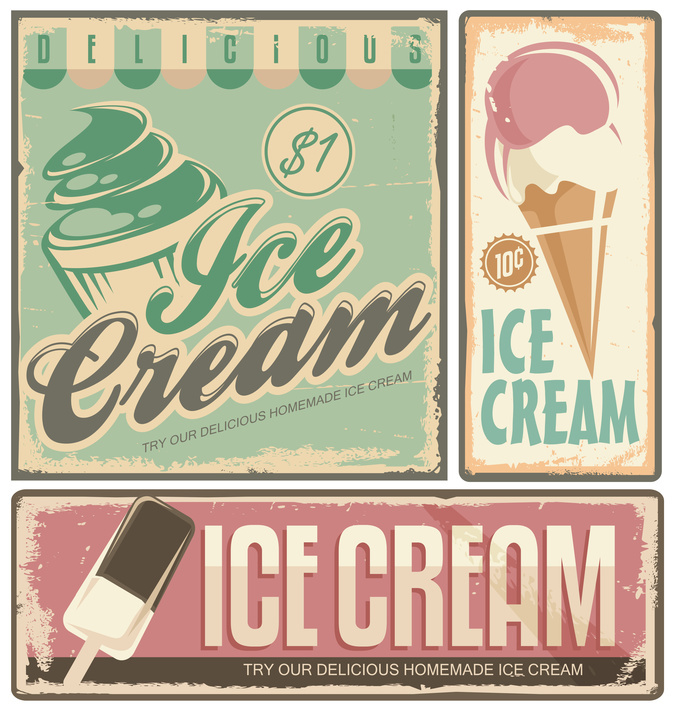 Custom ice cream cups can be used to provide brand awareness to customers. You can put your logo, as well as any offers and promotions on the ice cream cup. The customer will be more likely to notice it, as they are holding onto the ice cream cup the entire time they eat it. Ice cream is a popular business. It is low cost to begin and does not require much previous knowledge. However, with the easy business entrance, many ice cream businesses exist. An ice cream business owner needs to take the appropriate steps to ensure that they are providing good customer satisfaction, good quality product and quality products that are necessary for their ice cream.